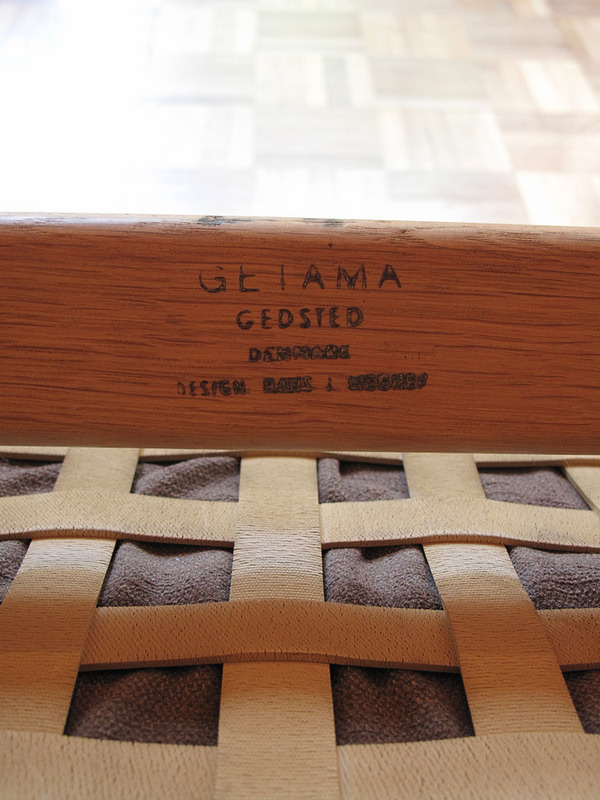 An excellent example of one of Wegners designs for Getama in 1950. 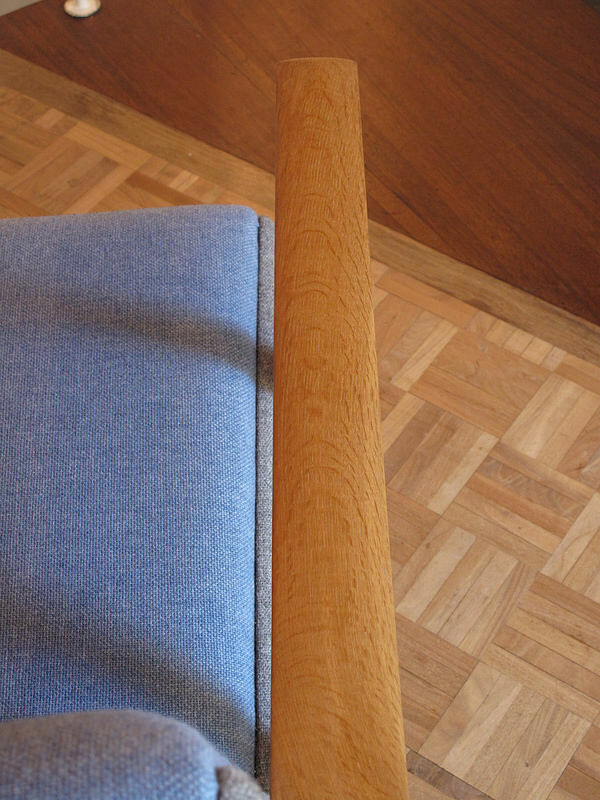 Crafted from solid Oak throughout with very discreet brass detailing. 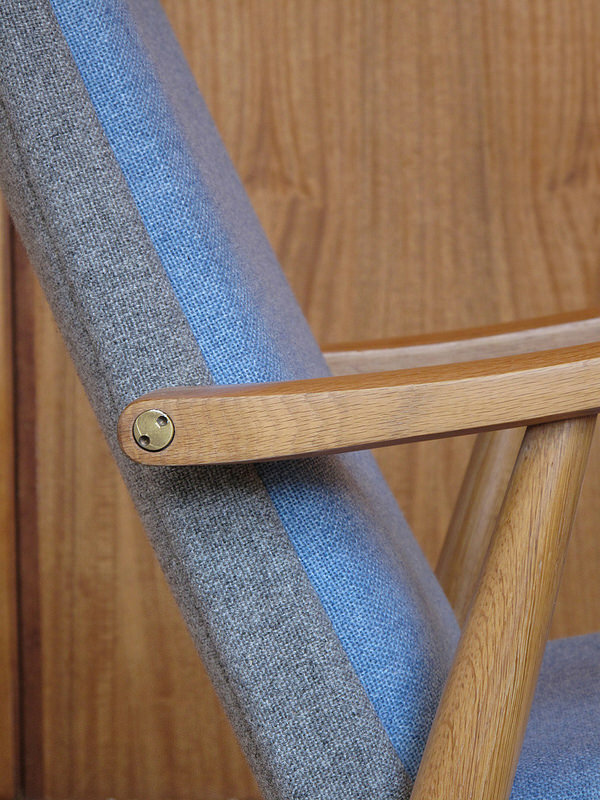 The chair has recently been reupholstered in high quality contrasting grey and light blue wool fabric to accentuate the details of the design. 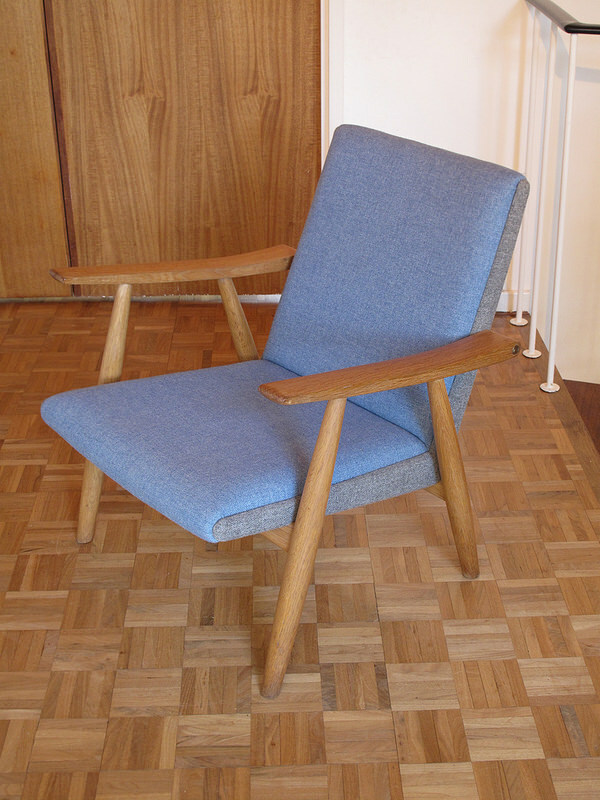 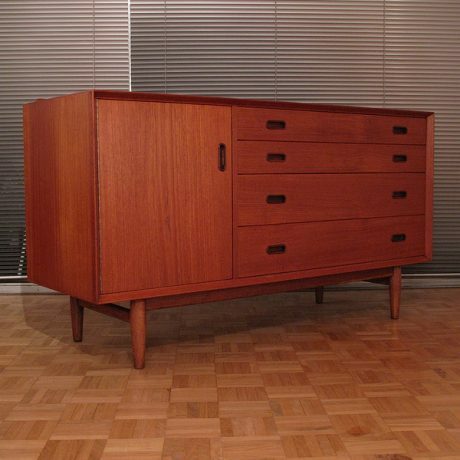 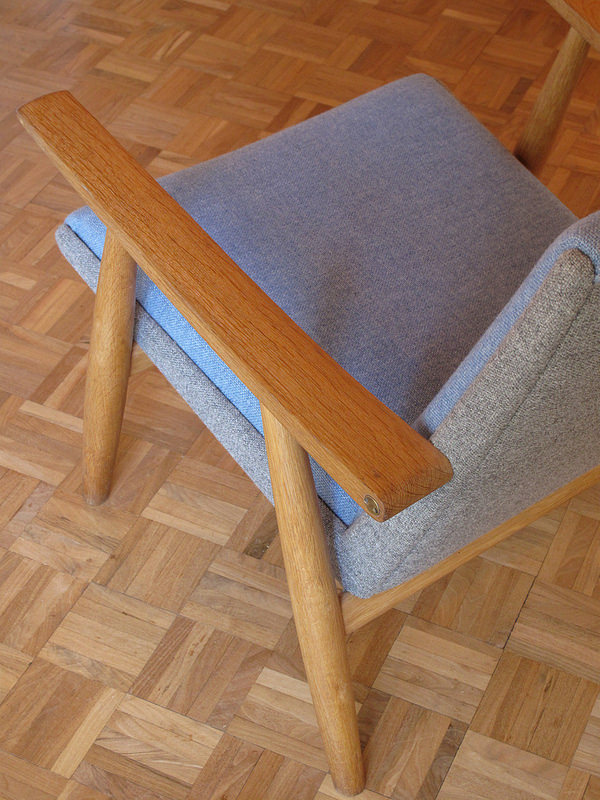 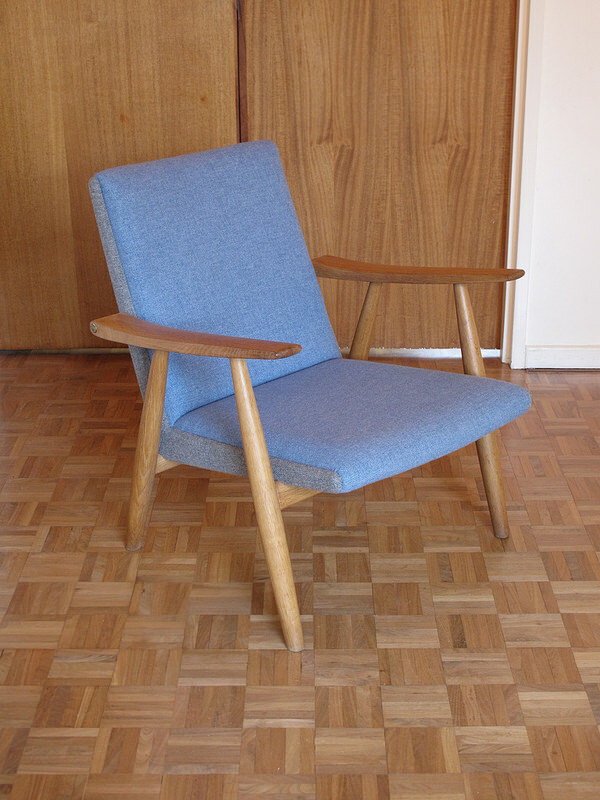 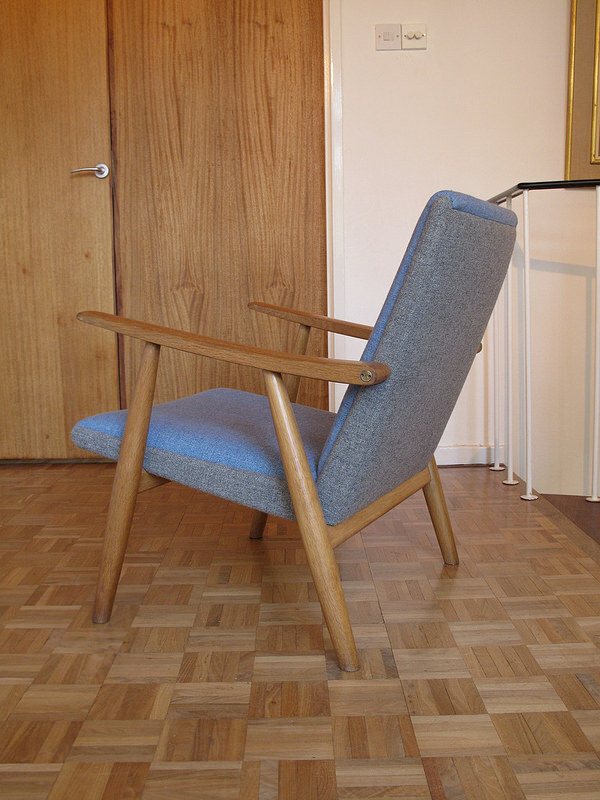 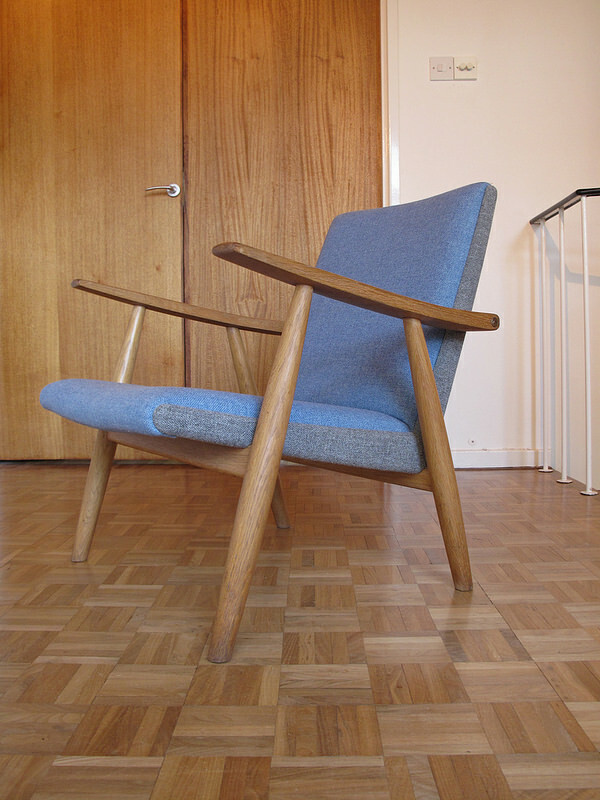 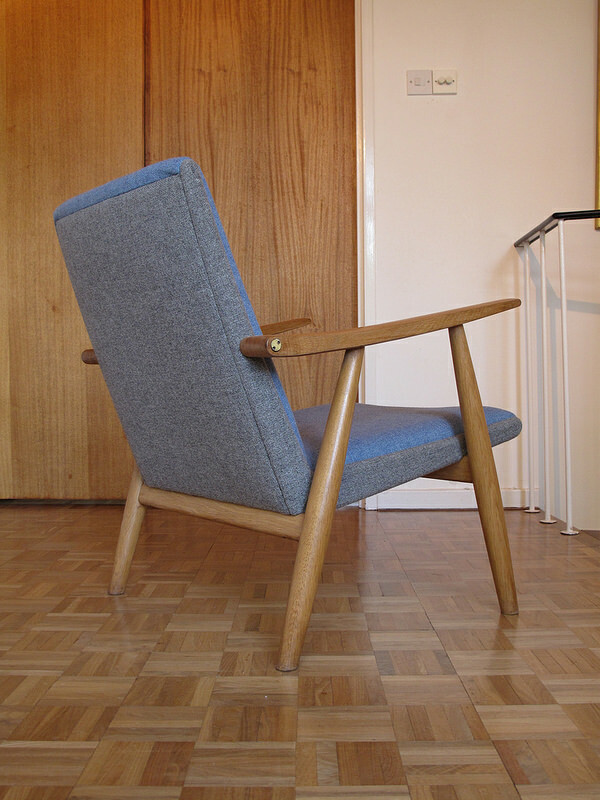 This design is from the period when Wegner was at the top of his game. 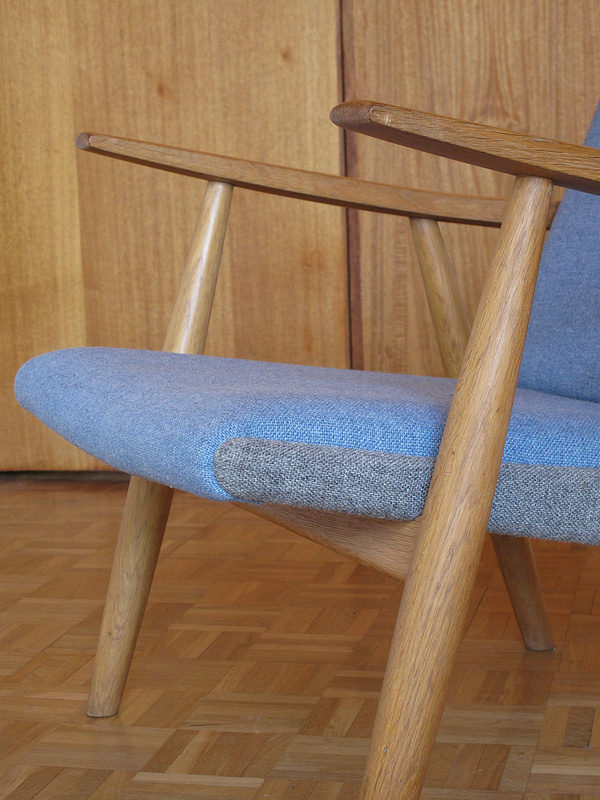 No other designer managed to boil down modernism to its absolute essence and present it with such elegance. 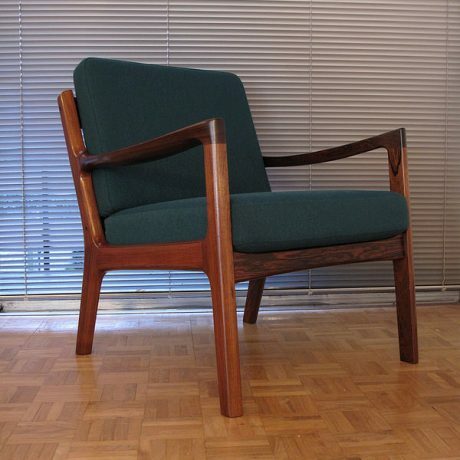 An extremely comfortable chair offered in excellent condition. 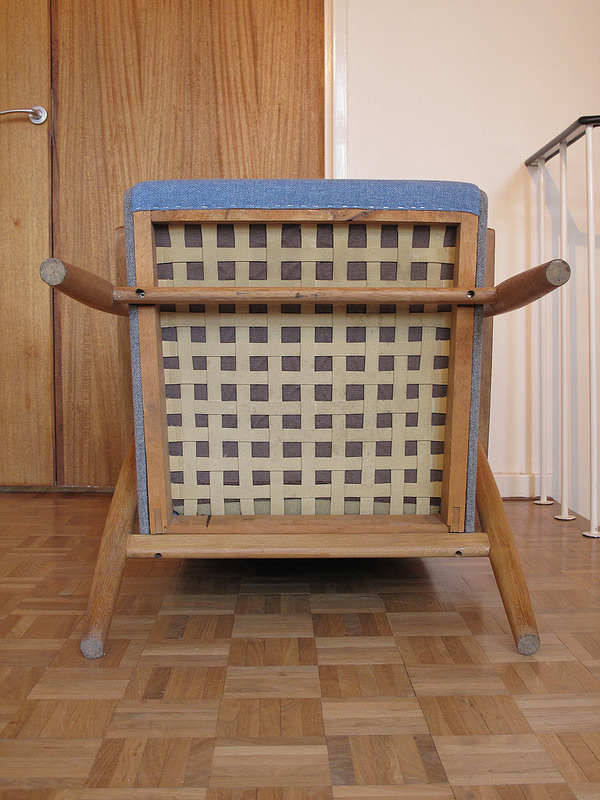 DIMENSIONS: 66cm Wide x 67 Deep x 80 High.